Hardwood vs. Tile Flooring – What You Need to Know Before Buying! 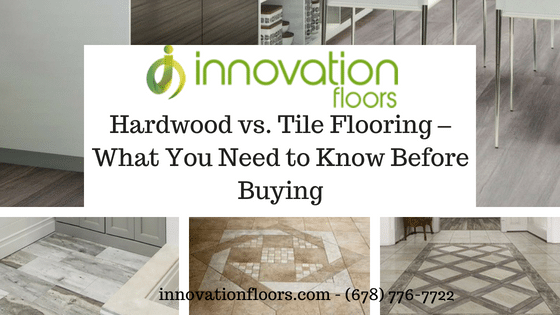 HomeBlogHardwood FlooringHardwood vs. Tile Flooring – What You Need to Know Before Buying! Like most homeowners, you are probably tired, too, of always cleaning your carpet? With that said, it is only right for you to consider trading in your carpet for something else. If you are ready to remove your old floor and still cannot decide about the hardwood vs. tile flooring argument, this article is right for you. You see, flooring is the visual foundation of your home interiors. Many floor installers in Kennesaw will tell you that choosing the correct type in your home contributes to the lighting, comfort levels, and tone of each room of your home. However, when you decide that you are sick of carpet, the next big question is what is next? This article is here to help understand all about tile vs. hardwood flooring. 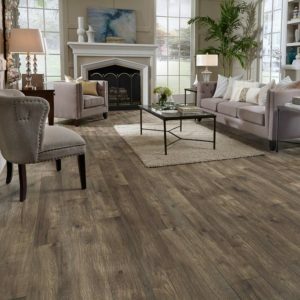 To start the hardwood vs. tile flooring in Kennesaw argument, let’s discuss about hardwood first. This flooring can not only add to the aesthetic appeal of your home, but can also add to the monetary value as well. In case you did not know, study shows that homes with hardwood floors sold faster and at higher prices than home without such. Hardwood flooring is a feature that is universally attractive, and tends to always stay in style. And if you are still not convinced with its prowess, check out the advantages of using this flooring material. Easy Maintenance: Hardwood floors can stand the test of time with proper maintenance. Think about it, many homes that are 100 years old still have the original flooring. Most hardwood just need sweeping or vacuuming to keep them clean from dust, debris, and spills. They also only need occasional cleaning with floor cleaner. Versatile: Apart from having a timeless style, hardwood floors are versatile. If at any point in time you want to change up the look of a room, you can quickly throw an area rug down and have a whole new look to the room! So, when it comes to Kennesaw’s hardwood vs. tile flooring, the former definitely wins in give you an easy way to match any style. Variety: The possibilities of the choices of hardwood floors are almost endless. There are many stains, woods, thickness levels, and patterns. There is even the option sometimes to mix and match. Whether you are currently building your dream home or have lived in the same house for years, there may come a time when new flooring is needed. Tile flooring is instantly a great choice. It is a very practical, economical, and a fashionable option. Tile flooring is still one of the most popular options when it comes to flooring. It has a diverse range of textures, shapes, colors, and materials that offer limitless options, all of which can satisfy any design style. Just like hardwood flooring, tile floors also have benefits to offer. Durable: Tile flooring is extremely tough—and tiles are difficult to crack. A good quality tile can last for up to 20 years and even longer if prepped and maintained properly. If a single tile does end up with a crack in it, the process of replacing or fixing the tile is pretty simple. Cost: Most flooring can result in you spending more, but those numbers can vary to two different extremes. This makes tile flooring moderately more expensive than carpet and less costly than hardwood. Also, depending on where the tile floor is installed, it can add long-term value to your home. There is no doubt that in hardwood vs. tile flooring, the latter wins in cost. Non-allergenic: Just like hardwood floor, tile is a hard, solid surface that does not attract dirt, dust, pollen, or other allergens. Unlike carpet, small debris stands out on the surface of tile floors, making it easier to spot and clean. This also helps keep the air clear or irritating materials that can have an effect on asthma suffers. Want to know more about tile vs. hardwood flooring in Kennesaw? Contact us today at Innovation Floors. We are more than happy to help you with all of your inquiries and provide you with a free design estimate.